Jeff Howes, a native of Canada was an accomplished collegiate golfer. His experience in working with five different architects, most notably Jack Nicklaus and Robert Trent Jones led him to establish Jeff Howes Golf Design in 1991. 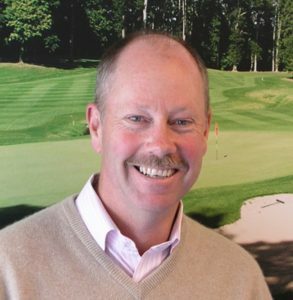 Along with his knowledge of greenkeeping and construction he also holds degree in Physical Geography and a diploma in Turfgrass. Gowran Park Golf Course, Co. Kilkenny &ndash the company’s first 18 hole project in Ireland was a particular challenge to design as the golf course had to be placed in and around the existing horse racetrack. The re-design of Fota Island, Cork in preparation for the hosting of the Murphy’s Irish Open in 2001 and 2002 was Jeff Howes Golf Design next significant project. In 2006 Jeff Howes Golf Design added an additional 9 holes making Fota Island a 27 hole golf resort. Following on from Fota it was the restoration / upgrading of all the putting surfaces at Mount Juliet in preparation for the WGC American Express World Championships in 2002 and 2004 which preoccupied Jeff Howes Golf Design. The year 2004 saw The Heritage Golf & Country Club, Co. Laois – a co-design with Seve Ballesteros open to the public. It hosted the AIB Irish Seniors Open in 2005.
International golf course designs include Golf Club Adamstal and Golf Club Foehrenwald of Austria and Thunersee Golf Course of Switzerland. Current projects include – Farnham Estate Golf Club, Radisson SAS, Cavan, Tramore Golf Club, Waterford and the Carrig Glas Golf Club, Longford, a co-design with Retief Goosen.